It turns out that people really, really like Sekiro: Shadows Die Twice, at least enough that 2 million copies have sold worldwide in the 10 days since its release. Publisher Activision shared the news, noting that since Sekiro: Shadows Die Twice dropped on March 22 it has managed to amass such a high amount of sales, as well as the #1 viewed game on Twitch spot the weekend of its launch. It had 631 million minutes watched during that time, and 1.1 billion minutes watched on Twitch within just a week. And it certainly looks like the fans are enjoying themselves, with numbers like these. But it's no surprise when it's as challenging as all the other FromSoftware titles. It's even gotten people talking about whether or not it needs an easy mode and helping to inspire memes. 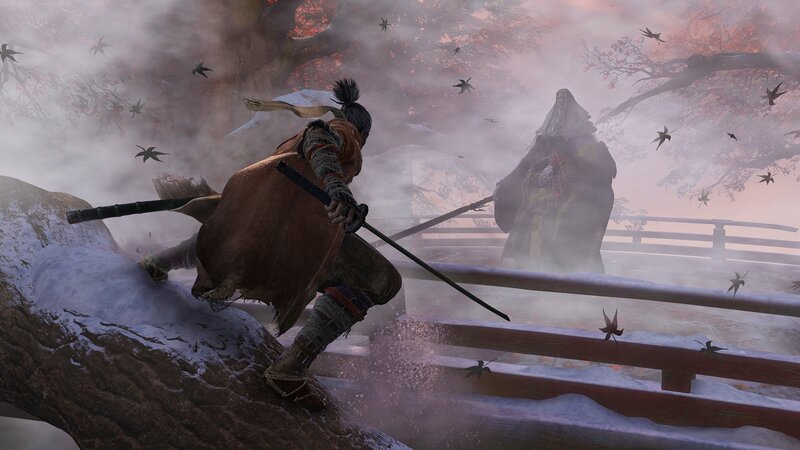 "Sekiro: Shadows Die Twice stands tall among some of From Software’s most renowned titles. The challenge is clear and present, the story and mystery are equally intriguing, and the beautiful vistas and soundtrack work in perfect harmony. It might be entirely different to what came before it, but Sekiro: Shadows Die Twice is a near-perfect experience and a natural progression of the Soulsborne series." It took DS3 two months to reach the same. So Activision is considering Sekiro as “introduc(ing) a brand new franchise”? Interesting. I assumed it was going to be more of a one-off. I wonder what sort of direction they’ll take it in. Bring in multiplayer or do an Assassin’s Creed and keep in single player in different eras or settings? Hey. It made money, didn't it?